I’m a little late for Halloween, but you don’t have to be. You can have this one stitched by next Halloween. 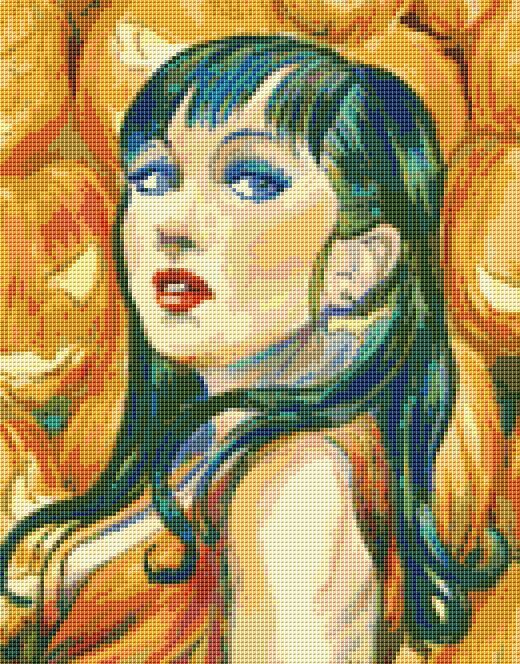 The orange goddess with a bright pumpkin background. You’ll love this amazing piece. The stitched piece is 130×166. It contains 63 colors of threads. The brightest oranges and bright turquoises through her hair. You’ll love this piece. Christopher Chamberlain is an amazing artist. You’re now invited to stitch one of his amazing pieces.